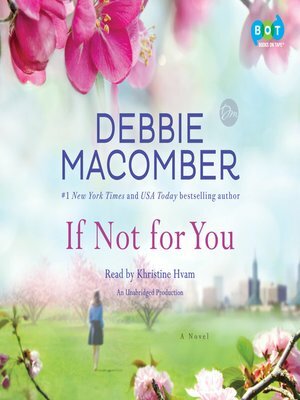 NEW YORK TIMES BESTSELLER • Debbie Macomber has written an emotionally stirring novel that shows how sometimes a choice can seem wrong even though it's absolutely right. If not for her loving but controlling parents, Beth Prudhomme might never have taken charge of her life and moved from her native Chicago to Portland, Oregon, where she's reconnected with her spirited Aunt Sunshine and found a job as a high school music teacher. If not for her friend Nichole, Beth would never have met Sam Carney, although first impressions have left Beth with serious doubts. Sam is everything Beth is not—and her parents' worst nightmare: a tattooed auto mechanic who's rough around the edges. Reserved and smart as a whip, Beth isn't exactly Sam's usual beer-drinking, pool-playing type of woman, either. Before long, Beth's strong-willed mother, Ellie, blows into town spouting harsh opinions, especially about Sam, and reopening old wounds with Sunshine. When shocking secrets from Sam's past are revealed, Beth struggles to reconcile her feelings. But when Beth goes a step too far, she risks losing the man and the life she's come to love.